Recently, my wife asked me: “what are your New Year’s resolutions?” I hadn’t thought about it much, but I decided I should start writing more. I enjoy writing, but I just don’t make the time for it. So no more excuses! 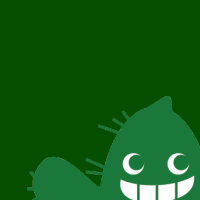 This New Year’s resolution: I’m going to write some blogs! How were your holidays (Christmas and New Year’s)? Ours were fun and eventful. We bought a real Christmas tree. This was the first time we did it in Japan. Have you ever smelled a real Christmas tree? The smell is similar to a pine tree, but I think it’s a little bit sweet at the same time. When I smell this, it really feels like Christmas! When I was a kid in Texas, buying a real Christmas tree was very common. Every year, a large freight truck would drop off hundreds of trees in a large store parking lot. We looked at several trees. We would look at their height (it always had to be taller than any of us children), check their shape (some would have no branches on one side, so the shape could be odd), and then we would try to pull off needles from a branch. We always knew how dry the tree was if a lot of needles came off. If no needles or only a few came off, the tree would look nice and green until Christmas. If a lot came off, then you could expect the Christmas tree to be brown before Christmas. That doesn’t seem very Christmassy, does it? Interested in trying one? Next year, try IKEA. They sell them and a tree stand. They can fit inside your car and you can return them for recycling after New Year’s. 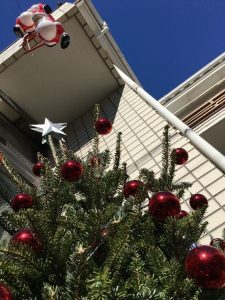 This year, they gave us a ¥2000 coupon after we returned the tree! The students played all sorts of holiday games. 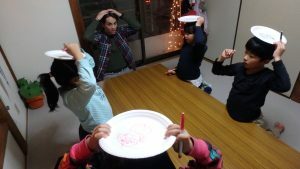 In one game, I gave them a paper plate and had them draw a snowman on their heads! No one could look at their pictures until they were done. They couldn’t stop laughing once they introduced their own snowman! Finally, Christmas wouldn’t be Christmas if you didn’t get a present! Santa brought them a small snack this year. Do you know about candy canes? This is another tradition in the US. We buy a box of these and hang them on our Christmas trees. But you can also snack on them. 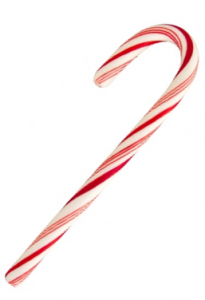 The candy canes are always made of peppermint, so they have a sweet, very cool flavor. Well, I hope you enjoyed your holidays! 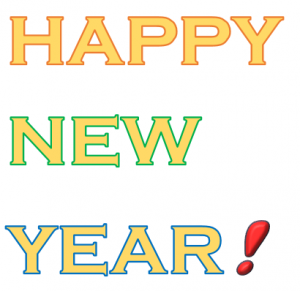 Did you make any New Year’s resolutions? If so, I hope you achieve them (back in the US, many people joke that we give up after only a couple of weeks!). Can you believe it’s almost February already? The days are starting to get longer now. 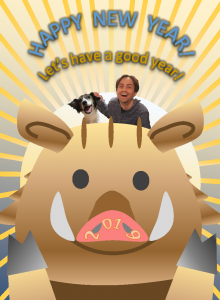 Until next time, stay warm and let’s have a great 2019!